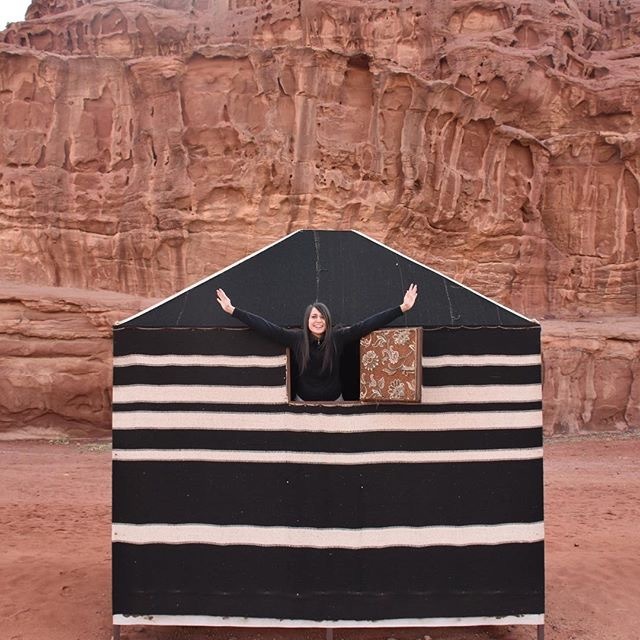 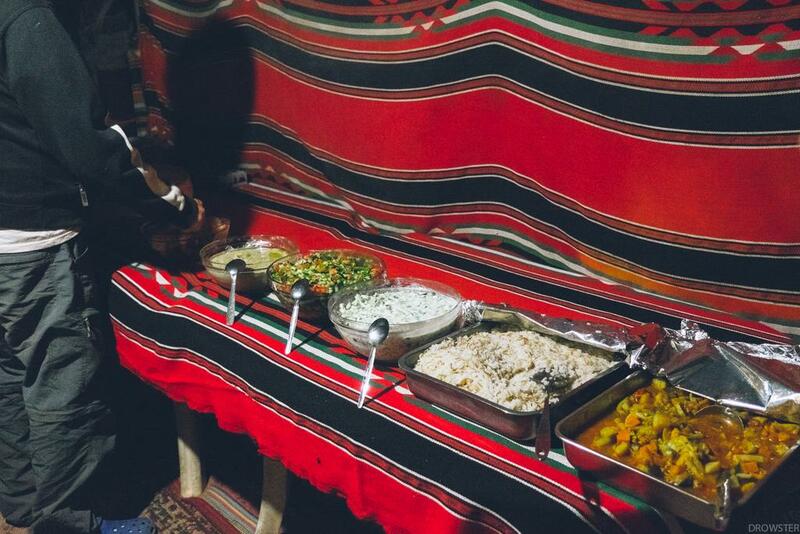 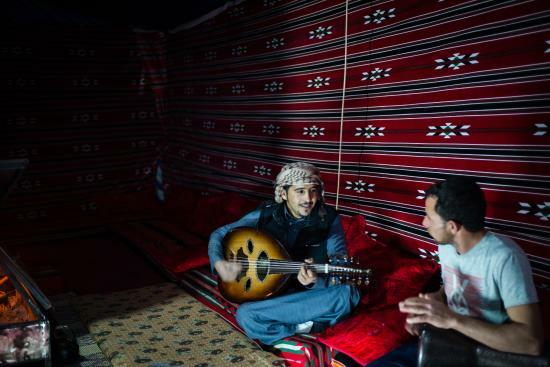 Our Bedouin Camp, in the heart of the Wadi Rum Protected Area, is small, simple, authentic, & comfortable. 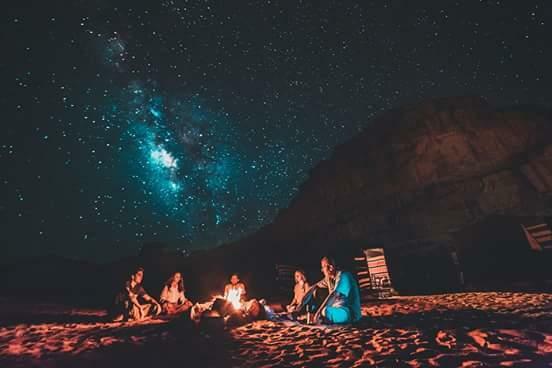 The camp is in the white desert, in a unique and beautiful location, secluded and away from any other tourist camps. 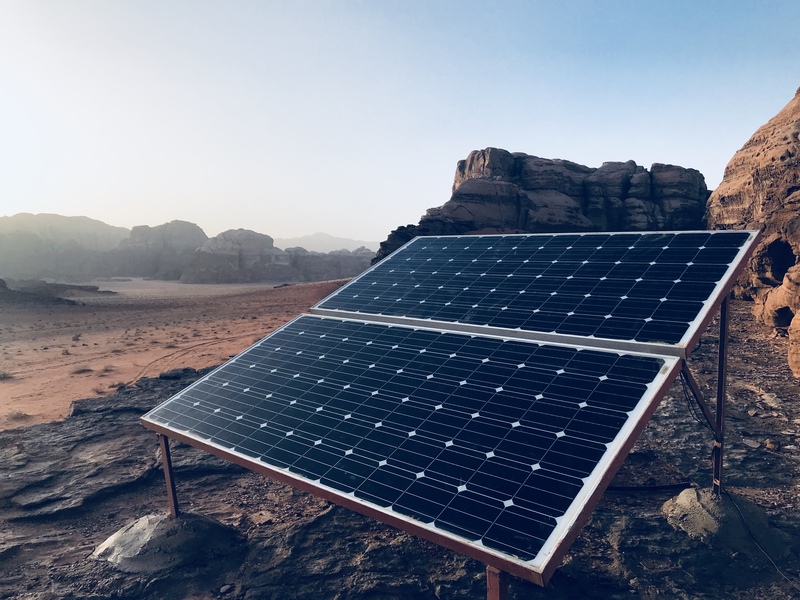 Ideally based for hiking there are also lots of interesting desert features within short walking distance of the Camp, waiting to be discovered! 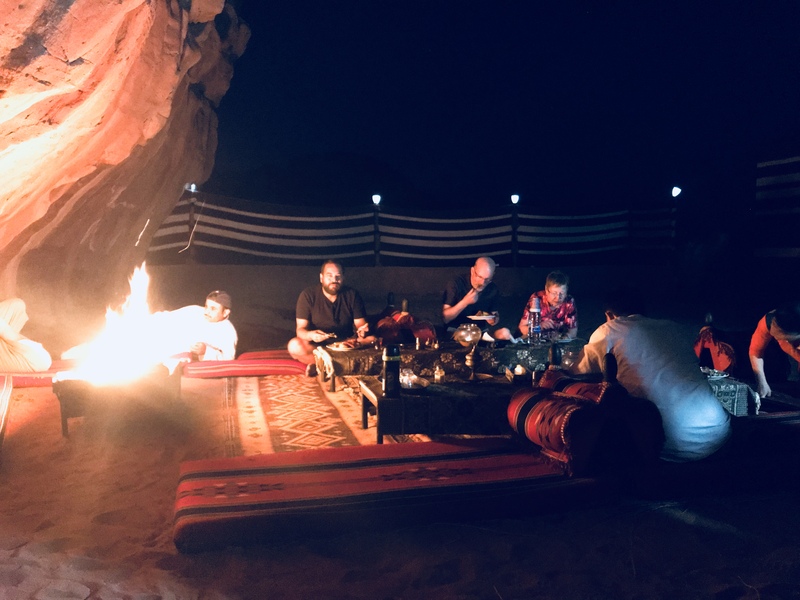 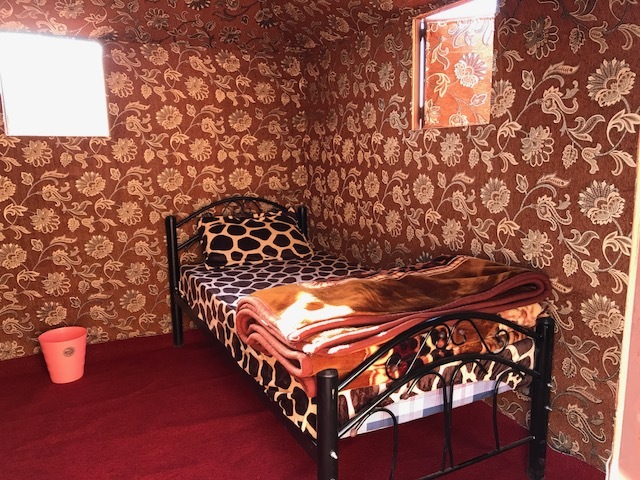 At Wadi Rum Magic Tours we aim to keep things comfortable, in working order and clean, but please do bear in mind this is the desert, and it is camping. 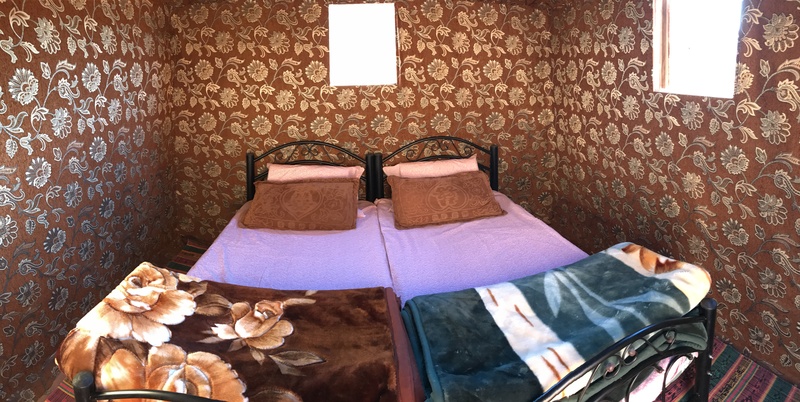 Our camp has simple desert bathrooms (with 2 toilets & 3 showers). 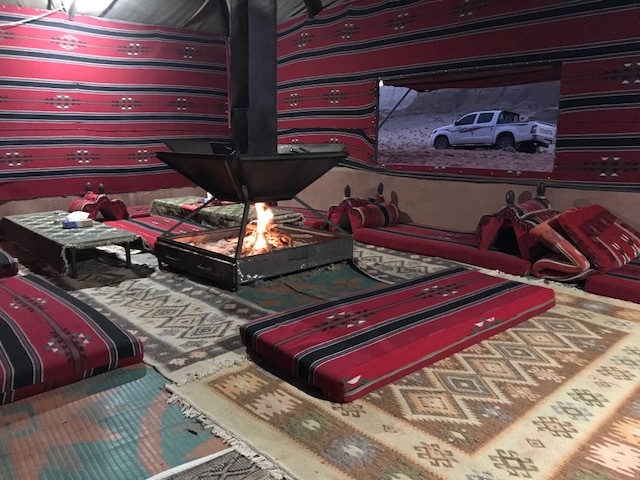 There are private Bedouin tents to sleep in, a larger social tent to spend the evening in and also to enjoy your dinner in and a cosy wood fire. 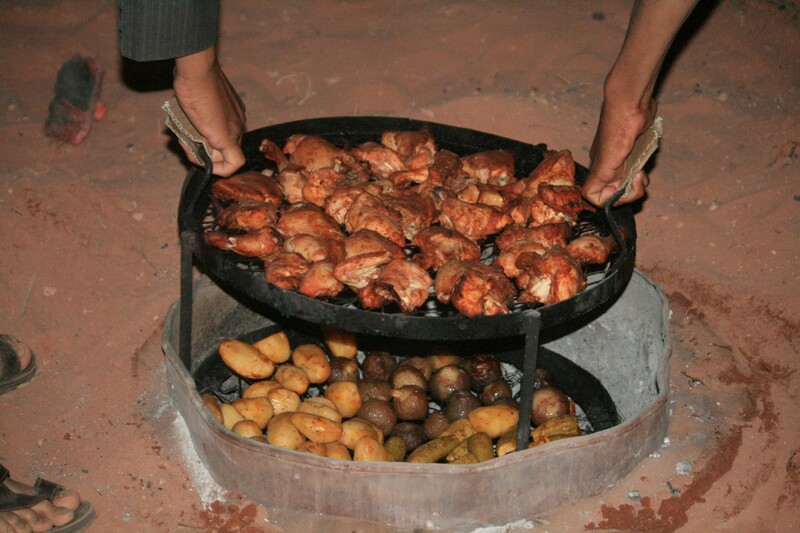 In the summer months we usually sit outside in the evenings, and may not make a fire, as it can get too hot. 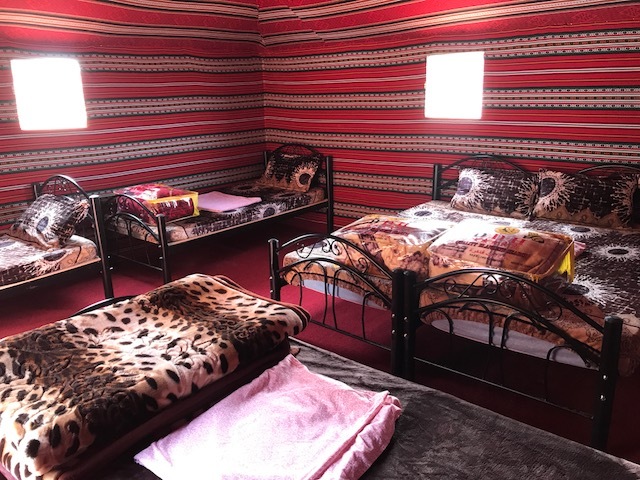 People who would like to sleep outside under the stars but don't want the full Bivouac Camping option are welcome to take their mattresses and blankets and to sleep outside in the Camp area. 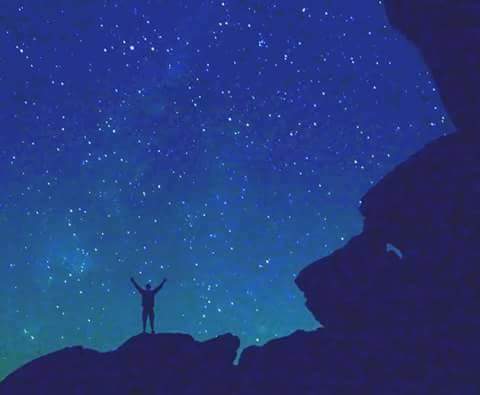 This is particularly nice to do in the summer months. 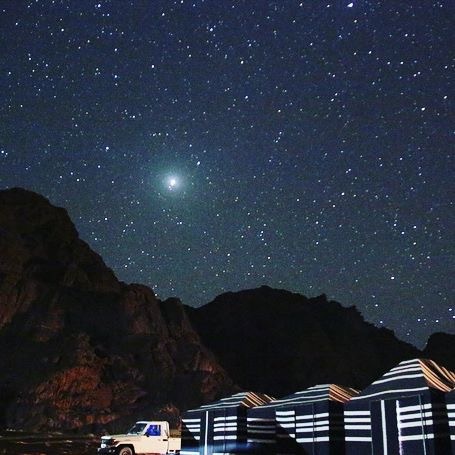 If you are not sure of a good spot, you can ask the guides in the Camp and they will help you.